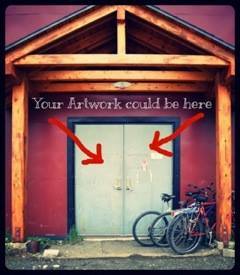 Have you ever wondered how events come to be at the Denali Arts Council? Do you ever find yourself thinking, “You know, it would be really cool to see ________________ happening here in Talkeetna” or “I wish they would do more of _________________ at the Hangar.” Well, the truth of the matter is that YOU, as a creative member of the community, have the power to help make those decisions. You could set the stage! A community Arts council sets a stage, but is only a reflection of creativity and imagination. In order for the DAC to express the artistic sentiment of Talkeetna, locals must be willing to share their talents and ideas. What gets showcased is what people like you choose to put into it through artistic partnerships and volunteering. Denali Arts Council is an umbrella organization with with a variety of artistic programs under its rim. While most of our programs have ongoing activities, several have become stagnant due to lack of involvement or leadership. Here is where YOU come in. Currently there are openings for Directors in two of our programs: Susitna Muse (writers group), and Local Motion… for the Love of Dance. As the director of a program, you have a lot of freedom to design events, workshops, and shows. You can express yourself creativity and set the vision of the program. You can be the director or you could get involved to just produce one show or workshop. So if you find yourself thinking “I really wish they would show more _________________”, consider putting your artistic passion to the test and get involved today!